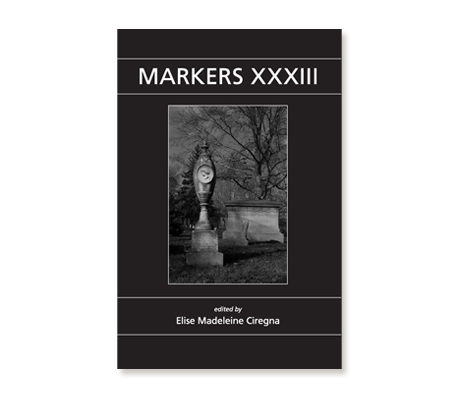 Markers is the scholarly annual of The Association for Gravestone Studies, which is published as a paperback book. The cover follows an established look and feel to match existing prior issues of the series, but starting with Volume XXXII, followed by Volume XXXIII and now with this year’s Volume XXXIV, the inside of the book has been redesigned throughout for enhanced presentation of all the content. Each volume of the book includes all of the standard front and backmatter for a commercial and scholarly publication as well as the preparation and placement of photo images, diagrams, and tables with captions throughout. This annual publication is a collection of articles by eminent authors in the field of gravestone studies, and it includes full footnotes, bibliographies, and an index.